This tiny territory on the shores of the Baltic Sea offers visitors a wide range of activity. The untouched nature and rich medieval heritage found only in this region are just a few reasons why this country is the newest vacation hotspot. Tallinn is one of Europe’s most captivating cities. At the capital, you can enjoy history, art, and scenic views. 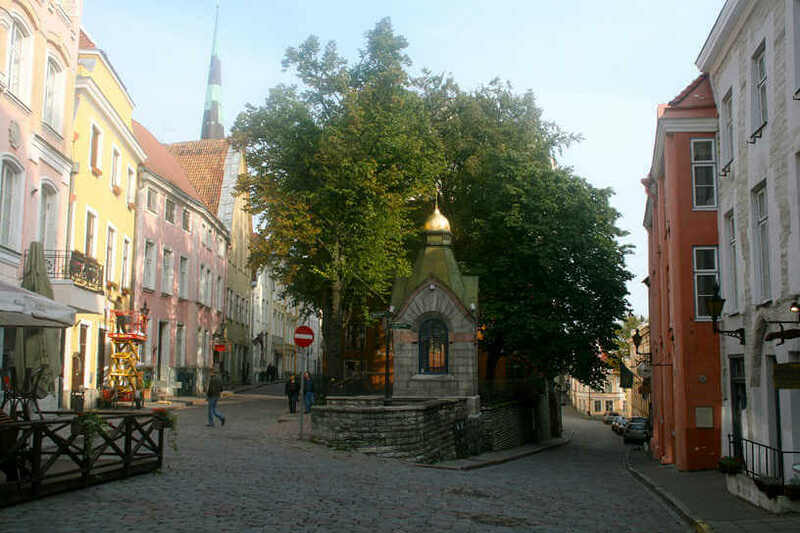 The history of Tallinn Old Town dates back as far as the 10th century, and it remains as one of the most intact medieval cities in Northern Europe. In addition to the amazing walks and fascinating views, the local cuisine, infectious energy of the night venues, and the charm of Old Town shops are unrivalled. Kadriorg Palace is considered one of the greatest examples of palace design in Estonian architectural history. The palace is in pristine condition since its founding in the early 18th century. The Kadriorg Palace was designed to resemble the Italian palaces of the time, and was built for Catherine I of Russia by Peter the Great. You will be blown away by the impressive external structure of Kariorg Palace as well as its interior treasures like the foreign art collection of the Estonian Art Museum. Pärnu is a famous sandy beach that is the place to be during the summer. Thousands of beach-goers visit Pärnu and contribute to the high-energy and exciting atmosphere of this shoreline attraction. The water is shallow and warms up quickly in the sun, making this a perfect hot spot for families to enjoy. The romantic in you will love taking a sunset stroll along the Beach Promenade, which remains active even when the sun goes down. For those looking to get the full historical experience of this country, make sure to stop by Paldiski. Paldiski is a town on the shore of the Baltic Sea that was a ‘closed city’ during Soviet times and in the early years of independent Estonia. This city was off limits because of its military importance, and today it is open for everyone to explore. Paldiski will transport you back in time as Paldiski is covered with abandoned bunkers and various military debris. Matsalu National Park is one of this country’s best known national parks. The shallow coastal waters and pastures make Matsalu one of the largest and most important autumn stopping grounds for migratory birds in Europe. Over 275 birds have been recorded in Matsalu, and various species of fish and mammals are also registered in this nature reserve. Matsalu is a great site for tourists looking to experience the untouched nature and clean air that is so distinct to this region. It is a true paradise for bird watchers. This fairytale castle on the eastern border of Estonia is a neo-gothic castle dating to the 17th century. The castle is surrounded by various secondary buildings and a huge forested park that perfectly display the two elements Estonia is most famous for: history and nature. The woodland surrounding Alatskivi Castle has been the root of many folk stories and legends—be sure to ask about Kalevipoeg. Lahemaa National Park is this country’s largest national park and is a must see. This unspoiled piece of rural Estonia includes picturesque coastal and inland scenery and is the perfect retreat from the hustle and bustle of European city life. The park is an ideal representation of this region’s natural charms, and also includes areas of historical and cultural interest. Have a thing for wildlife? Lahemaa will not disappoint, with over 800 plant species, 50 mammal species and hundreds of types of birds and fish. Lahemma National Park is a year-round destination as the winter transforms the park into a snowy wonderland. Image courtesy of Flickr user François Philipp.